Sean Laffey has been Head of Asset Management in Irish Water since early 2016. Prior to that, he was the Asset Programmes Manager since 2013. He brought with him a wealth of experience in Engineering and Water Services from his time in the local authorities of South Dublin, Kildare and Carlow and was also part of the Water Services Transition Office preparing to transition water services to Irish Water. 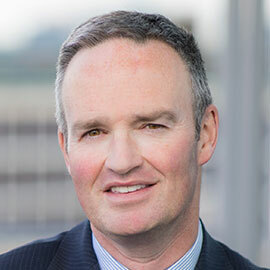 Sean is responsible for the strategic investment planning for the 2017-2019 and 2020-2024 Capital Investment Plans, Connections and Developer Services and Asset Strategy and Planning. © 2019 Environment Ireland. All Rights Reserved.